SEATTLE -- DHL and Fortigo Freight Services Inc., one of Canada's largest fleet management companies, said on Tuesday they had preordered Tesla's electric truck unveiled earlier this month to test on limited routes. High-profile logistics and transportation customers such as fleet operator J.B. Hunt and retailer Wal-Mart Stores Inc. announced orders for the Tesla Semi after it was unveiled on Nov. 16. 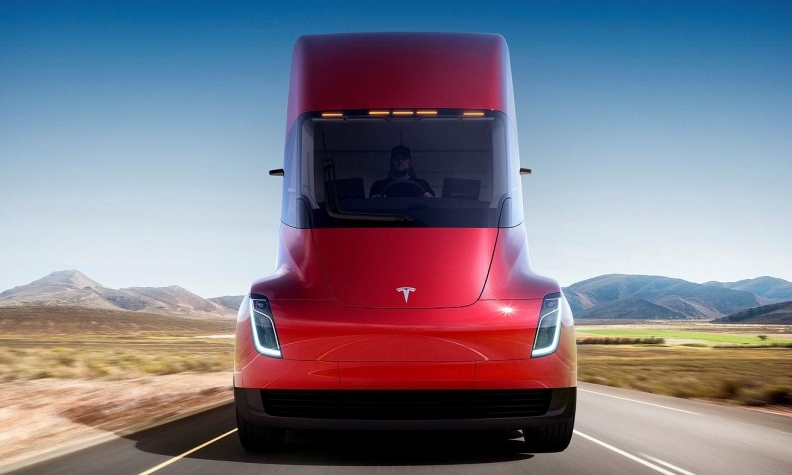 The Semi, scheduled for rollout in 2019, is Tesla's next step to move the economy away from fossil fuels through electric vehicles, solar roofs and power storage. "The trucks will be used for shuttle runs and same-day customer deliveries, and will be tested for fuel efficiency on longer runs from major markets to other DHL operations across the country," the company said. Fortigo, based in Etobicoke, Ontario, ordered one Tesla Semi with a down payment of about C$26,000 (US$20,290), with a balance due of less than US$181,000 when the Tesla is delivered, CEO Elias Demangos said by email Tuesday. "We'll be running it in a pilot program to ensure it meets our business objectives," Demangos said. The limited early orders reflect uncertainty about the market for electric commercial vehicles. The 800-kilometre range between charges for the Tesla Semi is about half the range between fill-ups of a diesel Class 8 truck. Heavy batteries cut payload and add cost, potential deal killers for fleet buyers focused on operating cost per kilometre. However, Tesla, and truck makers such as Daimler AG , Navistar International Corp. and its partner Volkswagen AG are investing in electric models in a bet that the market will shift over the next decade.